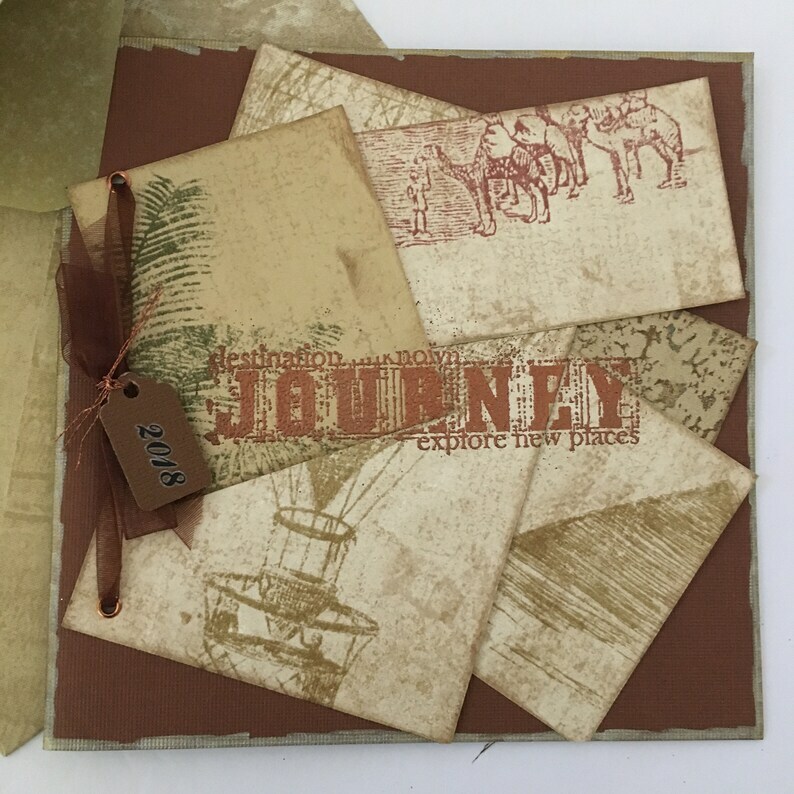 Vintage wallpaper collage of pyramids, hot air balloon, camels, and palms on a rusty earth toned card with ribbon and copper metal brads and 2018 tag. Copper, gold, and earth tones make this Congratulations card great for for guys or girls on their graduation or other 2018 accomplishment. Hand stamped and copper embossed with “Journey” quote on the front and a fleur de lis on the back. Vintage wallpaper envelope lined with gold tissue paper included. If this is to be mailed, requires extra postage—worth it!